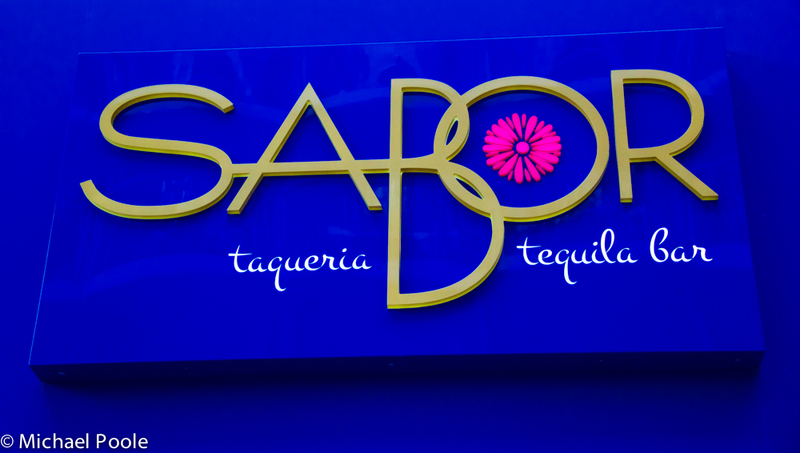 Our good friend, Michael Poole, is back to share with us his review of Sabor Taqueria & Tequila Bar​ specialty restaurant from Oasis of the Seas. Yum! A year ago Royal Caribbean created a new restaurant called Sabor Modern Mexican onboard Navigator of The Seas. This was a new concept to the fleet to cater the Texas market, since the Navigator sailed out of Galveston, Texas. If you want to compare the two styles here is a review on the Modern style. When Oasis of the Seas went into dry dock in fall 2014, they removed Seafood Shack, and added Sabor Taqueria & Tequila Bar. Located on deck 6 of Oasis of the Seas, Sabor is featured on their Boardwalk deck. This is an open-air deck, with mostly catering to children with a few things for the adults also. 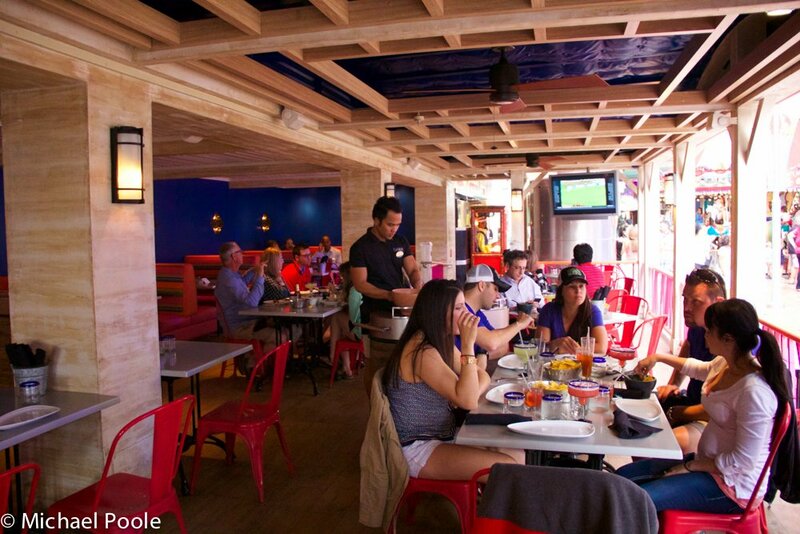 The restaurant is full of bright colors, with a lot of pink, yellow, and blue. When you arrive to the restaurant you will notice open-air style restaurant, almost like you would find on the beach in Mexico. There is air-conditioning, but since it’s open to the boardwalk, it can get a little mild in there at times. The dress code is casual, as this is a fun alternate specialty dining option. 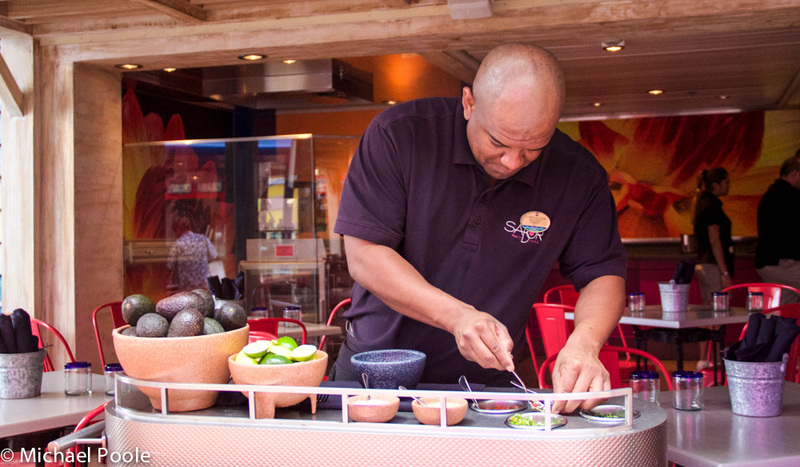 To me, the most important part of any Mexican meal is the guacamole, and at Sabor’s they make it table-side! That’s right, they actually role a cart over to the table, full of ingredients to make fresh guacamole. Before they start preparing the side, they will ask you if you like it mild, a little spicy, or spicy. We always went with the mild option so everyone could enjoy. For the main course, they offer a dinner tasting menu, which is a great value if you are really hungry. 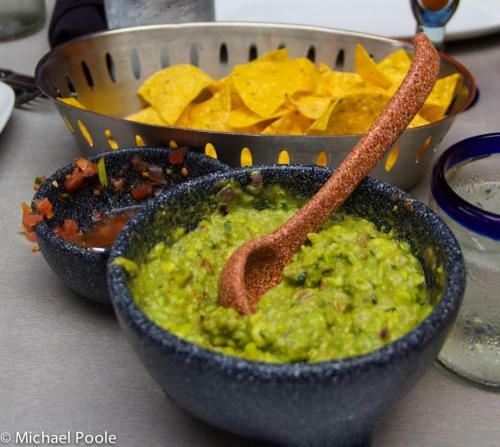 This includes the guacamole, small plate, main course, and desert for $19 per person. We always order everything a la carte, and shared everything between the group. Okay I should probably shift gears now and talk about the good stuff, the margaritas. 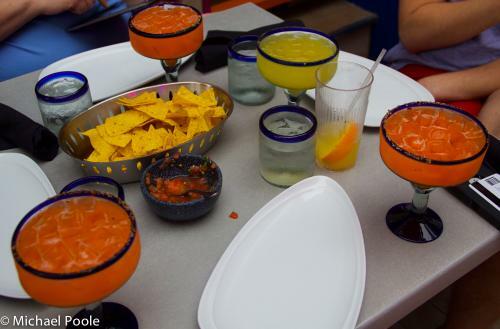 They have five signature margaritas at Sabor’s on the Oasis, and unlike the Navigator’s Sabor, they are all included in the unlimited alcohol package $12 threshold. The two I would recommend is Sweet and Spicy and The Grand, both are made fresh with Patron tequila. I preferred The Grand Margarita, as it was their classic cocktail. They don’t make the cocktails tableside like on Navigator, but that’s okay it’s a casual meal. Moving back to the food, the menu does not have a lot of options, almost like a preview menu. 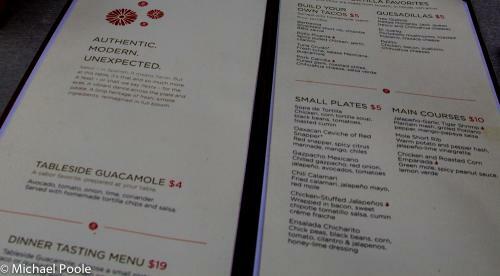 They had a few taco options, small plates, and quesadilla’s. They did have a three main course options, but no one ever ordered, as we preferred to order more smaller option’s and share. Starting out with the chicken quesadilla, to me this was a great option, but nothing that really wow me. You could definitely tell how fresh it was made, but I’d recommend the tacos for more flavor. The Barbacoa and Pork Carnita were amazing taco’s that came out with a trio of sides to prepare the taco’s. The amount of food you get here for $5, is worth the visit, even if it’s for lunch. 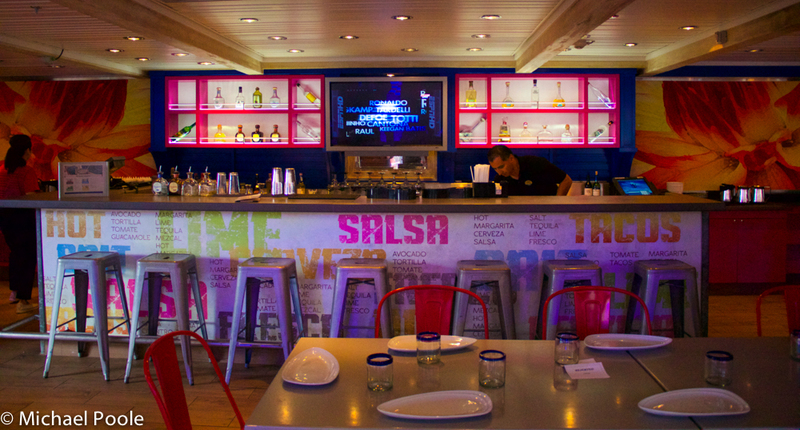 Sabor on Oasis of the Seas is a fun and casual dining option. If you are seeking something a little more romantic or dressy, I’d recommend something in Central Park. I should probably tell you now that I actually ate at Sabor three times during my cruise - day 1 for dinner, day 2 for lunch, and day 7 dinner. I really enjoyed the quality of the food here, the service was always outstanding and for the price, why not! Our average bill was around $7-$10 per person when we ate here, since our drinks were included the premium alcohol package. I certainly hope they roll Sabor across more of ships during their future dry docks. Most recently Allure of the Seas and Freedom of The Seas have added Sabor and Harmony of The Seas should be getting one too.